We have tried to develop this part of our website to help young people who are registered with The Bellingham Practice. 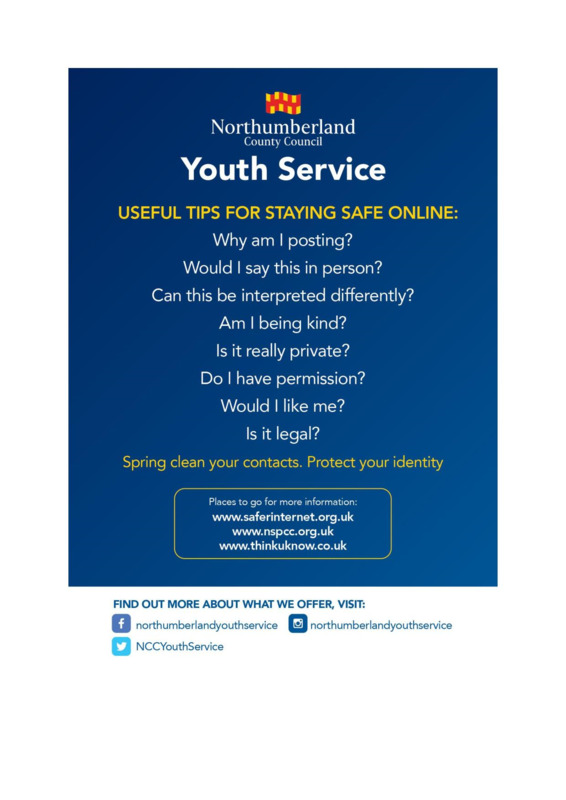 All appointments are confidential and we appreciate that for young people living in a small community this is extremely important. We would only consider passing on information if it was felt you were in danger or being harmed, and would always tell you if this was going to happen. Sometimes you might find it difficult to get to the surgery because of bus timetables so if you are making an appointment to coincide with the school transport, please let us know and we will try and fit you in. It could be the school bus doesn't get to Bellingham in time. All consultations are confidential from family, friends and school. We will try and coincide you appointment with the school bus for you. If you need any confidential advice about health issues please make an appointment or telephone us at the surgery. If you would like an appointment, but would prefer not to sit in the waiting room, then let us know and we will arrange this for you. We have both male and female doctors for you to choose from. You can consult with a doctor from 14 years old unaccompanied. We have a Chaparone Policy in the practice which means that you could have a trained member of staff with you in your consultation at yours or the doctors request. www.brook.org.uk - information on contraception, STI's and visiting the Brook Clinic. Please follow the links below to useful information about self harm, how to get help and how your family and friends can support you. Did you know that screening for Chlamydia is free to the under 25's. You don't even need to tell us about it although if you would like to disucss it with a GP we will be happy to advise you. You can get non-urgent advice from a clinical member of our team easily and without having to attend the surgery. You may be advised however that it would be best for you to come in but where possible we will try and answer any questions you may have by this online consultation service. There is a clinical person in the practice who will be able to reply to you from a Tuesday to a Friday, so if there is something you are unsure or worried about why not get in touch. It may be easier for you to book your GP appointment at the surgery via our website. If you would like to use this facility then please either call in at the practice or telephone and we will issue you with a user name and password.